What are the most important things I need to know to have success with taking Daily Essential Nutrients? Understanding these 3 important factors will make all the difference in your success using Daily Essential Nutrients (DEN). The brain and body need optimal nutrition to function correctly. Consistent and regular intake of DEN ensures that your nutritional foundation is solid. Gut health is critically important. Without adequate gut health, you won’t properly absorb the nutrients you need. Many medications significantly interfere with the positive effects of nutrients. For best results, it’s ideal to replace certain medications with nutrients over time. DEN is powerful enough to gradually reduce or eliminate your need for many medications. Some individuals see dramatic results within a few days; however, Daily Essential Nutrients (DEN) typically produces results gradually over a period of several months (and sometimes longer for certain conditions). Dozens of medical journal publications have reported impressive results in people who took our product at recommended levels for at least 8 weeks. But it’s safe to say that no one will see the full benefits of DEN in just 8 weeks— many people continue to report subtle improvements for years after. The recommended clinical dose of Daily Essential Nutrients—4 capsules, 3 times per day, with meals—is based on extensive experience addressing various symptoms in thousands of people, including adults, adolescents, and children. Independent university research has shown that people respond best, particularly in the first few months, by consistently taking the recommended dose. How much do children need to take? 2-3 years: Work up to 4 capsules/day (with food). 4-5 years: Work up to 8 capsules/day (with food). 6 years or older: Work up to 12 capsules/day (with food). (1 level scoop of Daily Essential Nutrients Powder is equivalent to 4 capsules). For individual cases, the dose required to address mood, anxiety, behavioral, and other symptoms may be slightly higher or lower than the initial recommended doses listed above. Optimal dosing of Daily Essential Nutrients appears to be more dependent on individual nutrient needs than on age or body weight. Based on clinical experience, individuals who are experiencing psychiatric symptoms have significantly higher nutrient needs than most others of the same age and weight. Also, children and adolescents who are growing quickly may actually have higher nutrient needs than many adults. Children taking Daily Essential Nutrients should be monitored by a medical doctor. The simplest way is to take 1 capsule 3 times per day the first day, two capsules 3 times per day the second day, and so on. By the fourth day, you’ll be taking the full recommended dose of 4 capsules 3 times per day. Most people have no problem tolerating Daily Essential Nutrients when they gradually introduce it in this way. Those who may be sensitive can choose to increase the dose more gradually (for example, increasing their dose by one capsule per day so it takes 12 days to reach the recommended therapeutic dose of 12 capsules per day). Can I stop taking Daily Essential Nutrients once I’ve seen a positive response? Supplying your body with nutrients on a regular daily basis will ensure your body gets the critical and essential ingredients it needs for maximum wellness and optimal results. Consistently eating nutrient-rich food is also very important, but even if you’re carefully choosing your diet, it’s still very difficult to get all the nutrition you need from food alone. This is especially true for anyone with mood or anxiety issues, because according to research, these people often have higher-than-average nutrient needs. Over the years, researchers have documented many cases where people with mood, anxiety, or behavioral issues responded favorably to our nutrient therapy and then stopped taking it, thinking they didn’t need it anymore. The unfavorable symptoms returned. Restoring the nutrients improved their symptoms dramatically again. Most people who experience this contrast decide that it’s worth taking Daily Essential Nutrients regularly to enjoy the stability it provides. Can I reduce my dosage of Daily Essential Nutrients after I’ve seen a positive response? Some have found that they can maintain stable health on a little less than the full therapeutic dose of 12 capsules per day after their symptoms have been eliminated for a few months (for example, 10 capsules instead of 12). On the other hand, some people find that they don’t get an optimal response until they take 15 or more capsules per day. It’s important to find a threshold that works for you, keeping in mind that if you go too low, your symptoms will eventually return. Daily Essential Nutrients is like food for a starving brain. The reason for our recommended dosage is that we’re focused on helping individuals achieve real-life results! Extensive scientific research has shown that the recommended dosage delivers the most consistent and marked improvements for serious mood and anxiety-related disorders. This research includes careful safety monitoring which showed no safety concerns at the therapeutic equivalent of the recommended 12 capsule per day dosage. What makes Daily Essential Nutrients more bulky than other multivitamin-mineral products? Completeness. Daily Essential Nutrients gives you optimally-balanced levels of many critical nutrients in one product. Other multivitamin-mineral products simply don’t contain nearly as many ingredients – or nearly the same levels. Macro-mineral levels. The macro-minerals calcium, magnesium, and phosphorus are key to the effectiveness of Daily Essential Nutrients. They are vital for proper brain and nerve function as well as for healthy bones, teeth, and muscles. These macro minerals, together with the specialized organic molecules that enhance their effectiveness, make up nearly two-thirds of the total bulk of Daily Essential Nutrients! By comparison, the vast majority of supplements on the market contain inadequate levels of these critical macro-minerals, making them less bulky, but also much less effective. Our NutraTek™-enhanced mineral delivery technology is the key reason for the effectiveness of Daily Essential Nutrients. It combines each mineral with specialized organic molecules—ensuring effective delivery to body cells. This makes Daily Essential Nutrients more bulky, but many times more effective than other multivitamin-mineral products. Does Daily Essential Nutrients have any side effects at our recommended levels? Occasionally, when people begin taking Daily Essential Nutrients, they may have looser stools than usual for a few days, but as the body adjusts to the additional nutrients, this typically normalizes, as it does when you introduce a new food to your diet. It is also normal for a person’s urine to be brighter yellow in color while they are taking Daily Essential Nutrients. This is a harmless side effect of taking vitamin B2 (also called riboflavin). It’s very rare for people to have any other side effects. Those who have pre-existing gut issues are most likely to experience some rare side effects, but the good news is that these problems can largely be addressed with additional nutritional solutions. Sometimes people who are taking certain medications may think they are experiencing negative effects from Daily Essential Nutrients when in fact, they are feeling over-medication or medication withdrawal effects. Our experience has shown that taking certain medications (or withdrawing too quickly from these medications) can interfere with the positive effects of Daily Essential Nutrients. This is why it is critical for anyone who is currently taking any medication or who recently stopped taking a medication to be very familiar with the side effects that can be caused by their medications. The "Drugs A-Z List" on RxList.com is a great resource for familiarizing yourself with side effects of specific drugs. If you wonder whether or not Daily Essential Nutrients is causing a negative side effect, feel free to give us a call. We’re also happy to talk with your doctor or other healthcare professional at any time. Are there any medical conditions that would prevent a person from taking Daily Essential Nutrients? Yes. People with certain rare medical conditions or severe sensitivity to a particular ingredient may not be able to take Daily Essential Nutrients. Feel free to call us to talk about your situation. We’re also happy to talk with your doctor or other health professional. These decisions are best made in consultation with a qualified healthcare professional. Can I add extra vitamins or minerals to Daily Essential Nutrients? It’s rare that people need to take additional vitamins or minerals, because Daily Essential Nutrients is designed to meet nearly everyone’s daily needs at the suggested serving. This all-in-one approach gives you clear advantages in terms of convenience and cost-savings. However, some people have a specific need for additional nutrients. In depression, some people have reported that additional vitamin D may be useful. In the case of iron-deficiency anemia, iron can be added to Daily Essential Nutrients without any issue (ideally, under the supervision of a health professional). Because the minerals in Daily Essential Nutrients are in careful balance with each other, we advise against adding certain minerals (including zinc, copper, calcium, phosphorus, or magnesium), because adding them could actually create mineral imbalances and lead to adverse health effects. We also advise against adding lithium without a doctor’s supervision, because doctors have observed that lithium appears to be 100 times more powerful when used together with the minerals in Daily Essential Nutrients. On the other hand, feel free to add extra potassium, a macro-mineral that nearly all of us don’t get enough of. You’re also welcome to add any whole foods that contain naturally-occurring vitamins and minerals. Can I take other supplements (besides vitamins and minerals) while I’m taking Daily Essential Nutrients? Most commonly-used supplements are fine to use with Daily Essential Nutrients. For example, we offer an Essential Omegas product, a Greens & Probiotics product, a Free-form Amino Acid product, and an Inositol Powder product that people often use together with Daily Essential Nutrients. Our main caution for adding supplements other than vitamins or minerals is that any supplement or substance that affects brain function has the potential to significantly interfere with the positive effects of Daily Essential Nutrients. If you use any supplement that has mind-altering properties, do it very cautiously and monitor your symptoms carefully. A few common examples include St. John’s wort, ginseng, kava kava, skullcap, valerian root, SAM-e, and 5-hydroxytryptophan (often called 5-HTP). Recreational drugs also affect the mind and can interfere with the positive effects of Daily Essential Nutrients as well. As Daily Essential Nutrients provides the body with the basic elements it needs to regulate itself, people usually find that these mind-altering supplements are no longer needed. Will Daily Essential Nutrients ever stop working? Definitely not! Our brains and bodies will always need essential vitamins and minerals for proper function. If it seems that Daily Essential Nutrients isn’t working for you, some interfering factor is standing in the way and causing you to have increased nutrient requirements or limiting the effects of the nutrients. If you don’t find answers for your challenges in our other FAQs or videos be sure to give us a call or have your doctor call us. We’ve worked to provide support and information for thousands of people via phone and e-mail for almost 20 years. We also can refer clients to healthcare professionals in their area, who are familiar with micronutrient treatment, in order to help overcome barriers and find success. What factors might increase a person’s nutrient requirements? Antibiotics are actually the most common factor. When we take broad-spectrum oral antibiotics, we wipe out the beneficial gut bacteria that help us digest our food, and this deprives us of essential nutrients. Before taking oral antibiotics, be sure to educate yourself on how you can meet your nutrient requirements and keep your gut healthy during and after the course of antibiotics. Other factors like physical illness, puberty, and for women, pregnancy, breastfeeding and the menstrual cycle can place higher than usual demands on your body and increase your nutrient needs. At these important times, it may be necessary to temporarily increase your dosage of Daily Essential Nutrients to meet your body’s increased needs and maintain mood stability. What does my gut health have to do with my brain? The simple answer is everything. You’ve heard the saying “you are what you eat”. In reality, “You are what you absorb”. A variety of gut problems can interfere with the absorption of nutrients and limit their effectiveness. If your body isn’t absorbing the essential nutrients that you need, many aspects of your health will suffer, including mental health. Hardy Nutritionals® Greens & Probiotics - We recommend this product for everyone, but it’s especially important for those with bowel issues. Greens & Probiotics contains a fantastic blend of beneficial bacteria together with plenty of nutrient-rich superfoods that the bacteria thrive on. In addition to these superfoods, Greens & Probiotics contains enzymes and other ingredients designed to create an ideal environment for the good bacteria, which promote healing and optimal digestive function. Hardy Nutritionals® Olive Leaf Extract - This is a powerful all-natural product that is designed to combat Candida and other yeast species in your gut and promote healthy bowel function. Yeast overgrowth prevents Daily Essential Nutrients from working by robbing you of the nutrients you need. That’s why we’ve created a ‘Microflora Imbalance Questionnaire’ that can help you identify the symptoms and risk factors of yeast overgrowth. How do I know if Olive Leaf Extract is working? You know Olive Leaf Extract is working when you start having temporary flu-like symptoms, which means the yeast is dying and releasing chemicals that produce what is called a Herxheimer’s Reaction. This is why we recommend that at first, you should take no more than 1 capsule per day of Olive Leaf Extract. When you no longer feel flu-like symptoms from taking 1 capsule per day, take 2 capsules. Eventually, if you can take 6 capsules per day without experiencing flu-like symptoms, your yeast should be well-controlled. How long do I need to take Olive Leaf Extract? Many people’s diets supply plenty of food for the yeast to thrive on and not nearly enough fiber for the good bacteria that compete with yeast. Many people find that when they stop taking Olive Leaf Extract, their yeast symptoms return. These people often choose to continue taking an anti-yeast product on a regular basis. We recommend changing to a different type of anti-yeast product every few months to prevent the yeast from adjusting to a single product. A few options (besides Olive Leaf Extract) include colloidal silver, oil of oregano, garlic, and caprylic acid. Is there any way to kill the yeast and avoid all the nasty flu-like symptoms? Some people have reported that taking colloidal silver by mouth can eradicate yeast issues and produce only a mild die-off reaction. Our customers have also reported that regardless of which yeast treatment they use, taking oral vitamin C can quickly help to reduce their flu-like yeast die-off symptoms – often within 20 minutes. If taking 2 grams of vitamin C doesn’t help, take 2 more grams 30 minutes later, and repeat this until you find relief. If your body isn’t accustomed to taking this much vitamin C, it can cause temporary gastrointestinal upset, but you may find it’s worth it if you get quick relief from your unpleasant flu-like symptoms. Drinking plenty of water while you’re taking yeast treatments can also help minimize die-off symptoms. How will taking antibiotics affect my response to Daily Essential Nutrients? Antibiotics (especially oral antibiotics) have a very direct effect on gut microflora and therefore on gut health. They kill much of the beneficial bacteria in the digestive tract that facilitates digestion. Because food breakdown is compromised, you are unable to get the normal amount of nutrients from your food - increasing the risk for deficiency. This explains why people taking antibiotics almost always see an increase in their mental health symptoms. We have learned that an increase of 50% in the dose of Daily Essential Nutrients immediately before, during, and for two to three weeks following antibiotic use compensates for the decrease in absorption and works to prevent a return of symptoms. Another fact of antibiotic use is that it dramatically increases the risk of a severe yeast flare-up in the gut and the potential of that to spread to the bloodstream and internal parts of the body. Antibiotic use negatively impacts gut bacteria that keeps yeast in check while doing nothing to deter yeast growth – thus the potential for a flare-up! To counteract this tendency we recommend simply taking an effective antifungal product to check the yeast while you are taking the antibiotic and for a few weeks after, (Nistatin or Oil of Oregano, for example). Our Olive Leaf Extract also has a powerful antifungal effect. After running the course of antibiotic treatment, it is wise to help restore the compromised digestive process by taking live bacterial cultures for a number of weeks to re-establish healthy levels of beneficial bacteria in the gut. Our Greens & Probiotics product is formulated to do this most effectively. As a side note, we have found intravenous antibiotics to cause fewer of these concerns simply because they are not released directly into the digestive tract and therefore have a diminished effect on gut microflora. Is it safe to take Daily Essential Nutrients with medications? The short answer is yes – if you follow the guidelines we give! We encourage all individuals who are currently taking medications to work closely with their doctor, because all medication levels should be monitored while using Daily Essential Nutrients. The main reason is that people who take Daily Essential Nutrients have a reduced need for most medications over time – especially psychiatric medications. As the nutrients begin to normalize body chemistry, people feel over-medicated until they reduce their psychiatric medication doses. In his comprehensive review of micronutrient therapy in psychiatry, published in the peer-reviewed journal Child and Adolescent Psychiatric Clinics of North America in 2014, Dr. Charles Popper of Harvard University’s McLean Hospital discussed among other things the interplay between micronutrients and conventional medications. On the other hand, he identified as one of the “disadvantages of this treatment” that “drug-nutrient interactions are a challenge to patients when transitioning from conventional medications to [micronutrients]…” He clarified further by saying that the transition away from medications can be especially difficult “if withdrawal syndromes result from tapering of long-term treatments with benzodiazepines, SSRIs, or some antipsychotic agents” and he asserted that most physicians “need consultation or training when learning to conduct these transitions” beyond their standard, formal education. At Hardy Nutritionals®, we have had enough feedback from doctors and patients using our micronutrients to know exactly what Dr. Popper is talking about, but the concept of drug-nutrient interactions is neither new nor alarming. It is well-known that significant diet changes can create a need to adjust medication dosing, and even simply eating a grapefruit can throw an otherwise well-dosed medication out of whack. Our experience is that while Daily Essential Nutrients can initially be taken safely with most medications, both you and your doctor should expect that most types of medications will need to be adjusted or gradually eliminated while using Daily Essential Nutrients. An optimally functioning, healthy body has no need for medications, so it should be no surprise that using a natural intervention as powerful and comprehensive as Daily Essential Nutrients might eliminate the need for certain medications or at least require dose reductions. If you are taking any medication of any kind, it is strongly recommended that you are monitored by a physician who is familiar with micronutrient therapy and the medications that you are taking. The knowledgeable Product Specialists and scientists at Hardy Nutritionals® can direct both you and your doctor to resources that can help. Why is it so important to understand your medication side effects if you are taking micronutrients and medications? If you are taking medications, frequently review their potential side effects, using a resource such as Drugs.com, RxList.com, or WebMD.com. As your body responds to the nutrients, you may need less medication; increased side effects may indicate that medications need to be reduced. We strongly recommend that you consult with your doctor when altering your treatment regimen and before adjusting your medication dosing. Consider the severe negative side effects that might occur if a healthy person ingests a drug unnecessarily. On the other hand, negative outcomes are very rare when a healthy individual ingests additional micronutrients in the right form and balance, so when you are evaluating your results be sure to keep in mind that even if your condition seems to worsen when you take Daily Essential Nutrients and medications, it is unlikely that micronutrients are the root cause of the problem. Many adverse events reported by our customers to our Product Specialists are actually just amplified medication effects that can be found right in the official side-effect lists of their medications and which do not occur in drug-free individuals. Because it is always a possibility that a medication that you are taking may interact with Daily Essential Nutrients, you should become familiar with the side effects of your medications so that you can learn to distinguish between the symptoms of your illness, the effects of micronutrients, and the side effects of the drugs you are on. When taking medications simultaneously with Daily Essential Nutrients, how will I know if my medication dose needs to be reduced? Nutrient-drug interactions vary widely, but as a general rule over medication will cause an increase in the severity, the frequency, or the number of the side effects of the drug. If your medication side-effects increase in severity or frequency this is an indicator that the medication dose should be reduced. Published lists of the side effects, interactions, and warnings for almost any drug can be found on a simple, user-friendly online database such as Drugs.com, RxList.com, or WebMD.com. The knowledgeable Product Specialists and scientists at Hardy Nutritionals and our online reference materials can guide both you and your doctor to resources that will help you successfully manage drug interactions, drug withdrawal, and residual drug detoxification. What does over-medication feel like? It depends what medication you’re taking. Anyone taking a medication together with Daily Essential Nutrients should go to www.Drugs.com, search for each drug they are taking, and assess how many of the drug’s side effects they are experiencing. Side effects are listed in the “Side Effects and Drug Interactions” section for each drug. For example, Abilify (aripiprazole) can cause side effects that can include nausea, vomiting, constipation, headache, dizziness, akathisia, anxiety, insomnia, and restlessness. If you were taking Abilify and began to feel an increase in any of these symptoms over time, you would know that you’re over-medicated. Doctors and researchers have found that when people are taking Daily Essential Nutrients, the best overall outcome is almost always achieved when all psychiatric medications are completely removed. How can I successfully transition from psychiatric medications to Daily Essential Nutrients? Adjustments to psychiatric medications rarely need to be made when you first begin taking Daily Essential Nutrients. However, as micronutrients gradually begin to enhance the function of your mind & body, psychiatric medications often become more of a hindrance than a help. In fact, doctors and researchers have found that when people are taking Daily Essential Nutrients, the best overall outcome is almost always achieved when all psychiatric medications are completely removed. Managing psychiatric drugs during micronutrient therapy is fairly simple in theory – you just reduce the dose of the drug whenever signs of overmedication occur; this means that medication dose reduction schedules should be determined on an individual basis. Generally, you and your doctor can know that it is time to reduce the dose of a medication if you begin to experience increased drug side effects. Reducing psychiatric medications too quickly may cause extremely uncomfortable withdrawal syndromes or a rebound of the symptoms that the medication has been managing. On the other hand, failure to reduce psychiatric drugs will result in overmedication and increase the likelihood of side-effects. Successful transition from medications to Daily Essential Nutrients is best achieved under the supervision of a health care professional who is familiar with both Daily Essential Nutrients and the particular drugs involved, but you can take ownership of your own health by learning all you can on your own. Your journey to wellness will not be without its ups and downs, but the knowledgeable product specialists and scientists at Hardy Nutritionals can help both you and your physician navigate your path to a full, drug-free life. When and how should I start reducing my medications? Health professionals who are familiar with Daily Essential Nutrients will recommend that you reduce your medications gradually when you start feeling over-medication symptoms. For most medications, we recommend reducing by no more than 1/8th at a time. After a reduction, monitor your symptoms and drug side effects carefully. It is important to work with a healthcare professional through this important transition time. How soon can I reduce my medications again? In general, you can expect that when you reduce your medications, you will experience an effect opposite to what you felt when you started taking the medication. So if a medication helps you sleep, you could experience the opposite when you reduce it by 1/8th – difficulty getting to sleep. When you reduce by 1/8th, these withdrawal symptoms should be tolerable and short-lived. How do I know if I am experiencing drug withdrawal and how can I manage it? In general, you can expect that when you stop using a drug you will experience the opposite effect that it had when you first began taking it. For example, if you stop taking a sleep-inducing medication you may experience insomnia until your body’s natural mechanisms adjust to helping you sleep again without the drug. This example illustrates two important principles: First, withdrawal symptoms can be remarkably similar to the illness that the drug was intended to treat, and second, after discontinuing a drug it may take some time before you can know if the symptoms you experience are due to drug withdrawal or an underlying illness. More specifically, medication withdrawal can be lumped into two general categories: immediate withdrawal and protracted withdrawal. Immediate withdrawal symptoms vary, depending on the medication, the dosage and duration of use, and the individual. Medications that are most likely to cause withdrawal symptoms often list “withdrawal syndrome” as one of the possible side effects. Many psychiatric medications, pain medications, and recreational drugs can cause withdrawal syndromes, which are much more significant if the drug is discontinued all at once (i.e. “cold turkey”). Withdrawal syndromes manifest with diverse, often painful physical and psychological symptoms, including but not limited to intense drug craving, anxiety, depression, insomnia, nausea, perspiration, body aches, tremors, hallucinations, and convulsions. To improve stability and lessen overall withdrawal effects, medications should be reduced only after over-medication side effects emerge. Therefore, it is preferable to reduce the dose of withdrawal-inducing medications over time and in small increments under the guidance of a health professional that is well-trained in medication reduction and discontinuation. Protracted withdrawal includes drug effects that can appear long after a medication has been discontinued, and it is commonly experienced for some of the same drugs that cause immediate withdrawal. Protracted withdrawal symptoms can be the result of: 1) slow recovery from metabolic changes induced by the drug in one’s body; 2) stressors including underdeveloped life skills due to constantly relying on the drug to manage the stresses of daily life; 3) side effects caused by the release of drug residues stored in poorly perfused body tissues (i.e. fat and muscle); or any combination of these three. The types of activities that release drug residues in the body include physical exertion, weight loss, stress, prolonged sun or heat exposure, liver or bowel cleanses, massage, chiropractic therapies, or acupuncture. Protracted withdrawal symptoms caused by the release of stored psychiatric medications back into the bloodstream are often similar to the immediate withdrawal symptoms experienced during discontinuation of the medication, and individuals often report that they feel medicated again. Since protracted withdrawal symptoms induced by psychiatric medications often include insomnia, anxiety, depression, agitation, irritability, and fits of uncontrollable crying, the protracted withdrawal effects can easily be mistaken for a return of psychiatric symptoms. Many people have found that taking an amino acid blend or a protein isolate can help manage both withdrawal and post-withdrawal drug symptoms, particularly for benzodiazepines and other non-opiate psychiatric medications. For this reason, Hardy Nutritionals Balanced Free-Form Aminos can be an important tool for users of Daily Essential Nutrients who are experiencing withdrawal symptoms. Withdrawal from opiate-like psychiatric drugs and painkillers can often be managed with high doses of vitamin C – preferably a liposomal form. Since the only known side effect of vitamin C is diarrhea, any dose necessary to ameliorate withdrawal symptoms is acceptable as long as it doesn’t cause diarrhea. What products can I take to help with withdrawal symptoms? Because the transition away from medications is sometimes tricky, we recommend a few nutritional tools that can significantly help many people with their drug withdrawal symptoms. We often recommend our Hardy Nutritionals® Free-form Aminos product for individuals looking for some relief from medication withdrawal. The essential amino acids in Free-form Aminos help to bind the medications up and get them out of the body, helping to reduce withdrawal symptoms. To help manage the remaining anxiety-related symptoms we recommend our Hardy Nutritionals® Inositol Powder which helps to calm the physical symptoms of stress and anxiety. Many use Phosphatidyl Choline to slow racing thoughts and address other troubling symptoms resulting from elevated mood. Some have also found that higher doses of vitamin C can help manage drug withdrawal symptoms as well. Give us a call if you have questions about any of these products or look them up in our Store. Do antibiotics interfere with the effectiveness of Daily Essential Nutrients? Some individuals with psychiatric symptoms who take antibiotics while using Daily Essential Nutrients may experience a worsening of mood & behavioral symptoms, and this is to be expected, because psychiatric symptoms are a very common side effect of oral antibiotics in this situation. (1) This effect has not been observed with intravenous antibiotics, confirming that the interaction occurs in the gastrointestinal tract. It seems that the reason for this gut-brain connection is that oral antibiotics indiscriminately kill many beneficial gut bacteria along with the harmful microorganisms. Microbial digestion by health-promoting bacteria is critical to the release of nutrients from food, so a damaged gut microbiome in turn severely compromises nutrient absorption and leaves the digestive tract much more susceptible to stress and inflammation. So, for example, individuals whose psychiatric symptoms are managed effectively by Daily Essential Nutrients may experience a return of psychiatric symptoms if they take oral antibiotics because the antibiotics compromise the absorption of nutrients. Clinical experience has shown that using 1.5 times the recommended micronutrient dose of Daily Essential Nutrients for the duration of oral antibiotic treatment and for a short time afterward will greatly reduce the risk of psychiatric symptoms caused by a round of oral antibiotics. Adding a probiotic and prebiotic combination (such as Hardy Nutritionals Greens & Probiotics) during antibiotic treatment and for one to two weeks after completion is also recommended. If an individual has a history of fungal or microbial infections a strong anti-fungal agent (such as Hardy Nutritionals Olive Leaf Extract or a prescription if warranted) is recommended for the duration of antibiotic treatment and for a short time thereafter. (1) Ly D, DeLisi LE. Can antibiotics cause a psychosis? : Case report and review of the literature. Schizophr Res. 2017 Nov;189:204-207. PubMed PMID: 28185785. What else do I need to know about taking medications with Daily Essential Nutrients? The most important thing you can do is to gain an understanding on the over-medication and withdrawal symptoms specific to your drug(s) so that you can successfully taper off your medications. We can't stress enough how important it is to visit Drugs.com and research the "Side Effects & Drug Interactions" of each medication you are taking (or have taken recently). This journey can feel a bit rocky at times, but educating yourself will help immensely to make your way smoother. Always remember that many others have travelled this road before you and that they have found a very fulfilling and productive life after mental illness by providing their bodies with the nourishing essential nutrients they need. Reducing medications in the right way is essential to your success when you are taking Daily Essential Nutrients. In addition to the obvious case of psychiatric medications, many other drugs, recreational substances, and certain herbal preparations all have psychoactive effects. Alcohol, recreational drugs, caffeine, and even certain types of over-the-counter cold & flu antihistamines can be mood and mind altering, and their use should be minimized or eliminated during micronutrient therapy. General anesthesia and many pain killers also have psychotropic effects, and should be used judiciously if at all. Finally, oral contraceptives and hormone replacement therapy may create mood swings in spite of the mood-stabilizing effects of Daily Essential Nutrients. Anti-nutritional medications include oral antibiotics and antacids. Both reduce the body’s ability to extract nutrients from food by interfering with either acidic digestion or microbial digestion, and therefore a higher dose of Daily Essential Nutrients may be necessary if you are taking antacids or antibiotics. Examples of medication interactions with a specific ingredient in Daily Essential Nutrients include folate interacting with certain cancer medications, iodine with certain thyroid medications, and vitamin K with certain anticoagulant medications. Such problems can usually be managed by appropriately adjusting the dose of the medication. Consult with a physician trained in micronutrient therapy before taking any medications simultaneously with Daily Essential Nutrients. Where can my doctor and I get more information about using Daily Essential Nutrients? Based on published research, our own extensive experience, and feedback from healthcare professionals who have worked with thousands of people like you, we have compiled detailed clinical reference materials to help your doctor understand how to help you transition safely from psychiatric medications to Daily Essential Nutrients. We have helped thousands successfully introduce our nutrients to their diets and simultaneously wean off their medications. We are happy to answer any questions you or your health professional might have about this. 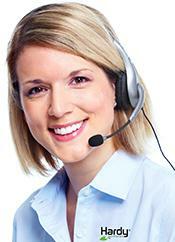 You or your doctor are welcome to reach us toll free in the USA or Canada at 1-855-955-1110. For overseas or international calls use 1-587-271-1110. We are open from Monday to Friday 9:00 am to 5:00 pm Mountain Standard Time (MST). We look forward to hearing from you. Why is the recommended therapeutic dose of Daily Essential Nutrients 12 capsules per day? At Hardy Nutritionals™, we’re focused on helping individuals achieve real-life results. Extensive scientific research at more than a dozen universities and medical clinics around the world has shown that the equivalent of this dosage delivers the most consistent results and marked improvements in both adults and children. This research has included careful safety monitoring which showed no safety concerns at the equivalent of the 12 capsule per day dosage. What makes Daily Essential Nutrients so bulky? Completeness. Daily Essential Nutrients gives you optimally-balanced levels of many critical nutrients in one product. Other multivitamin-mineral products simply don’t contain nearly as many ingredients as Daily Essential Nutrients – or nearly the same levels. Learn more. Macro-mineral levels. The macro-minerals calcium, magnesium, and phosphorus are key to the effectiveness of Daily Essential Nutrients. They are vital for proper brain and nerve function as well as for healthy bones, teeth, and muscles. * Macro-minerals make up more than half of the bulk of Daily Essential Nutrients! By comparison, all the trace minerals, vitamins, and other active ingredients combined make up just 30%. Learn more. NutraTek™-enhanced mineral delivery. Combining each mineral with specialized organic molecules makes Daily Essential Nutrients bulky compared with other multivitamin-mineral products, but the results it delivers make it well worth the extra bulk! Learn more. Why does Daily Essential Nutrients contain high vitamin levels compared to the RDA? Daily Essential Nutrients is specially formulated to meet the needs of individuals who have higher than average genetic needs for certain vitamins. We've been careful to ensure that all these vitamin levels are safe according to vitamin safety levels established by the US Institute of Medicine and other scientific authorities on nutrient safety. Can I take Daily Essential Nutrients with other supplements? That depends. Be sure to tell your doctor about all the supplements you’re taking. Certain supplements may interfere with Daily Essential Nutrients. For more information on taking additional supplements while taking Daily Essential Nutrients, see Section 8.4 Supplements in the Clinical Reference for Healthcare Professionals. Can I take additional iron with Daily Essential Nutrients? Yes, it's okay to take additional iron if your doctor recommends it. Can I take Daily Essential Nutrients with psychiatric medications? Be sure your doctor has the Hardy Nutritionals™ Clinical Reference for Healthcare Professionals, which contains important information for doctors about Daily Essential Nutrients. Get a list of side effects for each psychiatric drug you’re taking (easy to get from rxlist.com). Tell your doctor if you experience any of these side effects. For additional information on taking psychiatric medications with Daily Essential Nutrients see Section 4.1 Drug Interactions and Section 8.1 Psychiatric medication management in the Clinical Reference for Healthcare Professionals. Can I take Daily Essential Nutrients with heart medications? Yes. However, your doctor will need to adjust the dosages of any heart medications (like warfarin) that interact with vitamin K.
For additional information on taking anti-coagulant medications with Daily Essential Nutrients see Section 4.2 Drug Interactions in the Clinical Reference for Healthcare Professionals. Can I take Daily Essential Nutrients with other medications? Most likely. However, it's important for your doctor to monitor all of your medication doses while you're taking Daily Essential Nutrients. Taking nutrients might change your medication needs. For additional information on taking other medications with Daily Essential Nutrients see Section 8.2 Non-psychiatric medications in the Clinical Reference for Healthcare Professionals. Can I use Daily Essential Nutrients if I have a special medical condition? If you have a special medical condition, we recommend that you consult with your physician before using Daily Essential Nutrients. For more information, see Treatment Guidelines in the Clinical Reference for Healthcare Professionals. Will digestive problems reduce the effectiveness of Daily Essential Nutrients? Yes. Tell your doctor if you’re experiencing gut problems like constipation or diarrhea. You’ll need to get your gut healthy to benefit the most from Daily Essential Nutrients. For additional information on gut health, see Section 8.5 Gastrointestinal Problems in the Clinical Reference for Healthcare Professionals. What makes Daily Essential Nutrients outperform other vitamin-mineral supplements? Unsurpassed quality assurance – you can depend on the quality, potency, and purity of our products. * Learn more. Completeness – addresses insufficiencies of essential minerals and vitamins in individual diets. * Learn more. Nutrient balance – supplies essential minerals and vitamins in critical ratios found in a healthy diet. * Learn more. NutraTek™ mineral delivery technology – combines micronized minerals with natural organic molecules to optimize delivery to cells. * Learn more. What is NutraTek™ mineral delivery technology? NutraTek™ proprietary technology micronizes and pre-combines every mineral in the formula with natural organic molecules, creating a chelation complex which greatly enhances each nutrient’s usefulness to the body. * Learn more. How does NutraTek™ technology compare with amino acid chelation? NutraTek™ mineral delivery technology goes beyond amino acid chelation. It mimics nature by using natural organic molecules. This allows essential elements to even more efficiently cross the blood-brain barrier, enter cells, and optimize nutrient levels. * Learn more. Why is the completeness of Daily Essential Nutrients important? Research shows that most people fall short of getting the recommended daily amount of multiple nutrients from food alone. Since the body’s wellness is limited by the most deficient nutrient, a superior formula will not leave any essential nutrient lacking. The Daily Essential Nutrients formulation contains many more active ingredients (at effective levels) than other multivitamin-mineral formulations in order to address all insufficiencies of essential minerals and vitamins in the body. * Learn more. Why is the nutrient balance in Daily Essential Nutrients important? The U.S. Institute of Medicine states that an imbalance in the intake of two or more nutrients can have a diverse array of adverse health effects. The ratios among ingredients in our formulations are carefully set to avoid the risks of nutrient imbalance. This compensates for deficiencies and excesses in individual diets. Balance is never achieved by supplementing only a few elements. * Learn more. What are some of the health benefits I can expect by supplementing with Daily Essential Nutrients? Taking Daily Essential Nutrients can prevent health problems by ensuring that you get the essential nutrients your body needs. * For example, Daily Essential Nutrients qualifies for nearly 50 different preventative health claims in Canada, a country with one of the most progressive natural health product regulations in the world. Can Daily Essential Nutrients help to promote healthy metabolism? Helps to prevent iron deficiency anemia. Can Daily Essential Nutrients help maintain healthy skin and other tissues? Can Daily Essential Nutrients help in growth and development? Helps reduce the risk of neural tube defects when taken daily prior to becoming pregnant and during early pregnancy. Calcium intake, when combined with sufficient vitamin D, a healthy diet and regular exercise, may reduce the risk of developing osteoporosis. Can Daily Essential Nutrients help to prevent vitamin deficiencies? Helps to prevent vitamin A deficiency. Helps to prevent vitamin K deficiency. Helps to prevent vitamin B1 (thiamine) deficiency. Helps to prevent vitamin B2 (riboflavin) deficiency. Helps to prevent vitamin B3 (niacin) deficiency. Helps to prevent vitamin B5 (pantothenic acid) deficiency. Helps to prevent vitamin B6 deficiency. Helps to prevent vitamin B12 deficiency. Helps to prevent biotin deficiency. Helps to prevent folate deficiency. Can Daily Essential Nutrients help to prevent mineral deficiencies? Helps to prevent iodine deficiency. Helps to prevent copper deficiency. Helps to prevent chromium deficiency. Helps to prevent manganese deficiency. Helps to prevent molybdenum deficiency. Helps to prevent selenium deficiency. Helps to prevent zinc deficiency. Can Daily Essential Nutrients support brain health? Yes. Many nutrients play a role in the structure and function of the brain. An impressive amount of research has revealed the powerful influence of high quality essential nutrients on the brain, affecting every aspect of function from mood to body systems and intellectual capacity. * Learn more. Can Daily Essential Nutrients help with my daily stress and mood? Yes. The proprietary mineral blend in Daily Essential Nutrients has been extensively studied by independent researchers and refined in clinical practice for over 15 years. Its impressive effects on stress and mood have been published in medical journals around the world. * Learn more. Can Daily Essential Nutrients make up for unhealthy eating? No. Daily Essential Nutrients supplies essential vitamins, minerals, and other nutrients, but your body needs more than this to stay healthy. Fruits, vegetables, and whole grains also contain fiber, antioxidants and phytochemicals which help keep you healthy. * Learn more. Can Daily Essential Nutrients help to control my weight? No, not directly. However, Daily Essential Nutrients can help support healthy weight loss by providing nutrients for healthy metabolism and helping you feel energized. * Learn more. How can Daily Essential Nutrients reduce my healthcare costs? Supplementing with vitamins and minerals can save money through prevention. There’s no question that healthier people incur fewer healthcare costs. They are also more active, more productive, and they enjoy a higher quality of life. In a recent analysis, world-respected economists concluded that supplementing essential nutrients yielded tremendously high benefits compared to costs. * Learn more. How safe is Daily Essential Nutrients? In general, it’s safer to take Daily Essential Nutrients than not to take it! * Those taking medications and those with special medical needs should consult with a physician before use. Learn more. Can children take Daily Essential Nutrients? Yes. Daily Essential Nutrients has shown impressive results in children with a variety of mood, anxiety, and behavioral disorders. * Learn more. How long can I take Daily Essential Nutrients? Daily Essential Nutrients can be taken at recommended doses on a daily basis in perpetuity - just like food. * Learn more. Can I take a full daily dose of Daily Essential Nutrients at once? Is it normal that Daily Essential Nutrients has changed the colour of my urine? Yes. Daily Essential Nutrients contains riboflavin (vitamin B2), which can make your urine more intense in color. Is it harmful to take expired Daily Essential Nutrients? No, there is no safety concern. However, we can’t guarantee that all the ingredients listed on the label will have their original potency beyond the expiration date. Can I take Daily Essential Nutrients if I am lactose intolerant? Daily Essential Nutrients may contain an insignificant amount of lactose. Lactose intolerant individuals have been able to tolerate small quantities of lactose. Consult a physician if you have any questions. Does Daily Essential Nutrients contain gluten? Daily Essential Nutrients may contain an insignificant amount of gluten. Although we do not add any gluten to our products, we cannot guarantee that all raw materials are 100% gluten-free. Does Daily Essential Nutrients contain caffeine? No, Daily Essential Nutrients contains no caffeine or any natural sources of caffeine. What makes Daily Essential Nutrients a quality product? Daily Essential Nutrients is backed by over 35 years of applied nutritional science. The proprietary mineral blend in Daily Essential Nutrients has been extensively studied by independent researchers and refined in clinical practice for over 15 years. Through this test of time, it has produced never-before-seen results that have been published around the world in medical journals. * Learn more. How does Daily Essential Nutrients exceed quality standards? Hardy Nutritionals™ is committed to bringing you high quality products. In order to bring you products that meet our high standards, we use a manufacturing facility in the United States that maintains rigorous Good Manufacturing Practice (GMP) standards. Our facility is registered with and inspected by the FDA, the Department of Health and Human Services, and by NSF international. NSF international is a third-party not-for-profit company that provides GMP audits, safety audits, and certifications for a wide range of consumer products. These standards, along with our commitment to quality, are why you can depend on the quality, potency and purity of our products. Learn more. What are Good Manufacturing Practices (GMPs)? Good Manufacturing Practices (GMPs) help to safeguard the health of the consumer as well as ensure high quality products in accordance with dietary supplement regulations. GMP involves testing of products during the manufacturing process to ensure that ingredients are uncontaminated and in the correct amounts (as indicated on the product label), and that the expiration date is based on real and accelerated stability measurements. Learn more. Can I take Daily Essential Nutrients if I am pregnant or breastfeeding? What are the benefits to taking Daily Essential Nutrients while breastfeeding? Can Daily Essential Nutrients help with symptoms related to my menstrual cycle? Menstruation increases nutrient needs. If symptoms worsen during this time, increasing your dosage of Daily Essential Nutrients may help. For more information, see Section 8.8.1 Menstrual cycle in the Clinical Reference for Healthcare Professionals. Why is the multi-nutrient approach of Daily Essential Nutrients essential for my health? Research shows that we are at risk of being deficient in many essential nutrients at once. The broad spectrum of essential nutrients in Daily Essential Nutrients is critical to prevent metabolic inadequacies and many related health problems. * Learn more. Vitamins are carbon-based organic compounds. The human body makes many of its own organic compounds; however, vitamins are required from the diet in small amounts because the body does not make them. Vitamins are used to synthesize substances involved in body functions, such as hormones and neurotransmitters. Learn more. Vitamins are needed for normal growth and development and are essential for the healthy maintenance of cells, tissues, and organs. Vitamins enable cells to efficiently use chemical energy provided by food, and to help process the proteins, carbohydrates, and fats required for metabolic function. Although requirements seem small, these molecules are absolutely essential in a healthy diet as deficiency can cause severe problems. Daily Essential Nutrients contains all 13 essential vitamins known to sustain optimal vitality for the body. * Learn more. Minerals are inorganic chemical elements that are required from the diet because the body cannot produce them. Minerals are typically from the various families of metals listed in the periodic table. Minerals usually carry a positive electric charge which allows them to act as electrolytes, as co-factors, or as active centers in catalytic enzymes. Learn more. Minerals are needed for normal growth and development and for the healthy maintenance of cells, tissues, and organs. Minerals enable cells to efficiently use vitamins and other chemical nutrients provided by food for structure and function in the body. Without minerals, there would be no osmotic balance, no electrical impulses in nerve cells, no oxygen transport, and no large-scale structures (like bones). Although requirements differ between certain minerals, they are absolutely essential in a healthy diet as deficiency can cause severe problems. Daily Essential Nutrients contains 17 essential and trace minerals to sustain optimal function for the body. * Learn more. The recommended dietary allowance (RDA) is the minimum daily amount of a vitamin or mineral expected to prevent deficiency in most people. However, getting the RDA each day doesn’t necessarily mean that you will be optimally healthy. The US Institute of Medicine states that intake at the level of the RDA is not expected to be enough for individuals previously undernourished, nor is it adequate for disease states marked by increased requirements. The levels of vitamins and minerals in Daily Essential Nutrients are carefully formulated to supply a safe and optimal level of each nutrient in conjunction with a healthy diet. Learn more. If sufficient scientific evidence is not available to calculate an Estimated Average Requirement (EAR), a reference intake called an Adequate Intake (AI) is provided instead of an RDA. The AI is a value based on experimentally derived intake levels or approximations of observed mean (average) nutrient intakes by a group (or groups) of healthy people. The Estimated Average Requirement (EAR) is the daily intake value that is estimated to meet the requirement in half of the apparently healthy individuals in a life stage or gender group. The Tolerable Upper Intake Level (UL) is the highest level of daily nutrient intake that is likely to pose no risk of adverse health effects for almost all individuals in the specified life stage group. When possible, the Tolerable Upper Intake Level (UL) is based on a no-observed-adverse-effect level (NOAEL), which is the highest intake (or experimental oral dose) of a nutrient at which no adverse effects have been observed in the individuals studied. If there are no adequate data demonstrating a no-observed-adverse-effect level (NOAEL), then a lowest-observed-adverse-effect level (LOAEL) may be used. A LOAEL is the lowest intake (or experimental oral dose) at which an adverse effect has been identified. What is magnesium stearate and why is it used? Magnesium stearate has come under some very negative scrutiny of late. There are numerous statements which indicate that magnesium stearate is bad for you, magnesium stearate harms the immune system, and that quality supplements do not contain magnesium stearate. These strongly worded positions lacked adequate references and the few that provided references cited one primary source, which will be reviewed in this comprehensive examination. Statements like these can be very concerning and we determined to find where they were coming from. What we found was that none of the comments had any cogency or authority. The few milligrams of magnesium stearate in a supplement capsule represent 0.069% of the average daily dietary intake of stearic acid. In other words, based on average daily intake, 99.83% of stearic acid comes from all the other foods we eat every day, even the “healthy” foods. Making dietary supplements in a high quality way is far more complex than most people realize. There are several variables involved with nutrients that affect flowing and sticking. These include particle size of the ingredient, moisture content, chemical nature, solubility, and cohesive nature. These factors vary based on the ingredients in any product and become more complex as the number of different ingredients in the product increases. We use USP grade stearates derived from vegetable sources. Magnesium stearate has been the subject of study by the Joint FAO/WHO Expert Committee on Food Additives and industry manufacturers for over forty years. The 80th meeting of the Expert Committee was held in Rome, Italy and the technical report was published in 2016. In their report they summarized the history of the review of magnesium stearate. For the current 2015-2016 evaluation, a range of published studies together with three reports on genotoxicity testing of magnesium stearate were submitted to the Committee. The Committee concluded that there are no differences in the evaluation of the toxicity of magnesium stearate compared with other magnesium salts and confirmed the ADI* “not specified” for magnesium salts of stearic and palmitic acids. The common reference used to demonstrate harm caused by magnesium stearate was published in 1990. The experiment entitled “Molecular basis for the immunosuppressive action of stearic acid on T cells”  is research that many people have used as evidence that magnesium stearate is harmful to human T cells. It is clear that anyone referring to this study to claim magnesium stearate is toxic to humans hasn’t actually read it. The researchers were specifically looking to determine the mechanism by which stearic acid (stearate) causes T cell suppression in mice, but in order for the experiment to work the scientists had to remove the immune cells from mice. The T cells then had to be incubated on rabbit anti-mouse immunoglobulins in order to be isolated and purified. The lymphocytes were cultured in medium containing 0.2% NaHCO3, penicillin, streptomycin and 5% fetal bovine serum. The T cells were then stimulated with phytohaemagglutinin or with lipopolysaccharide. These are plant and bacterial factors that start the process of activating the T cells (mitosis). At this point stearic acid combined with bovine serum albumin and diatomaceous earth (80-90% silica, 2-4% aluminum oxide, and 0.5-2% iron oxide) were added to the T cells. The T cells began to incorporate stearate into their membranes which resulted in inactivation of the T cell. B cells, also from mice, examined in the same way had no issues because they have an enzyme that desaturates the stearate molecule. Yes, this experiment worked in mouse T cells. However, it had to be done in a petri dish (in vitro) to create the environment where it could happen. To quote directly from the authors; “If the effects of 18:0 (stearate) on T cells could be retained in vivo (in the living organism), the fatty acid could effectively and rapidly immunosuppress cell-mediated responses, but without the serious side-effects of cyclosporin.” In other words, the effect is not observed in the living mouse. The researches were trying to see if there was a way that stearate could be used as a potential immune suppressing drug, but could only get it to work in conditions far removed from normal physiological conditions. Human T lymphocytes have a desaturase enzyme unlike the mouse T cell. This means that human T cells can modify stearate by enzymatic desaturation and cannot be inactivated by stearate consumption. Beare-Rogers, J.; Dieffenbacher, A.; Holm, J.V. (2001). "Lexicon of lipid nutrition (IUPAC Technical Report)". Pure and Applied Chemistry 73 (4): 685–744. Alija Uzunović, Edina Vranić; "Effect Of Magnesium Stearate Concentration On Dissolution Properties Of Ranitidine Hydrochloride Coated Tablets"; Bosnian Journal Of Basic Medical Sciences, 2007, 7(3): 279-283. Natalie D. Eddington, Muhammad Ashraf, Larry L. Augsburger, James L. Leslie, Michael J. Fossler, Lawrence J. Lesko, Vinod P. Shah, Gurvinder Singh Rekhi; "Identification of Formulation and Manufacturing Variables That Influence In Vitro Dissolution and In Vivo Bioavailability of Propranolol Hydrochloride Tablets"; Pharmaceutical Development and Technology, Volume 3, Issue 4 November 1998 , pages 535–547. U.S. Department of Agriculture, Agricultural Research Service. What We Eat in America, NHANES 2001-2002, individuals 2 years and over (excluding breast-fed children). Nutrient Intakes: Mean Amount Consumed Per Individual, One Day. U.S. Department of Agriculture, Agricultural Research Service, 2006. USDA Nutrient Database for Standard Reference, Release 19. U.S. Department of Agriculture, Agricultural Research Service, 2014. USDA National Nutrient Database for Standard Reference. Release 27. Hunter JE, Zhang J, Kris-Etherton PM. Cardiovascular disease risk of dietary stearic acid compared with trans, other saturated, and unsaturated fatty acids: a systematic review. Am J Clin Nutr. 2010 Jan;91(1):46-63. Review. PubMed PMID: 19939984. Mensink RP, Zock PL, Kester AD, Katan MB. Effects of dietary fatty acids and carbohydrates on the ratio of serum total to HDL cholesterol and on serum lipids and apolipoproteins: a meta-analysis of 60 controlled trials. Am J Clin Nutr. 2003 May;77(5):1146-55. PubMed PMID: 12716665. Zock PL, Katan MB. Hydrogenation alternatives: effects of trans fatty acids and stearic acid versus linoleic acid on serum lipids and lipoproteins in humans. J Lipid Res. 1992 Mar;33(3):399-410. PubMed PMID: 1569387. Tebbey PW, Buttke TM. Molecular basis for the immunosuppressive action of stearic acid on T cells. Immunology. 1990 Jul;70(3):379-84. Erratum in: Immunology 1990 Oct;71(2):306. Anel A, Naval J, González B, Uriel J, Piñeiro A. Fatty acid metabolism in human lymphocytes. II. Activation of fatty acid desaturase-elongase systems during blastic transformation. Biochim Biophys Acta. 1990 Jun 14;1044(3):332-9. What is titanium dioxide and why is it used? Titanium dioxide is the naturally occurring oxide of titanium, chemical formula TiO2. It is used to provide whiteness and opacity to foods and medicines, and in our case, the veggie capsule. (1) The quantity of titanium dioxide does not exceed 1 percent by weight of the food. (2) It may not be used to color foods for which standards of identity have been promulgated under section 401 of the act unless added color is authorized by such standards. (d) Labeling. The label of the color additive and any mixtures intended solely or in part for coloring purposes prepared therefrom shall conform to the requirements of 70.25 of this chapter. The most current evidence indicates that titanium dioxide is not toxic and is relatively inert in biological systems. [2,3,4] Nanoscale range particles have different physical properties and are not suitable as a pigment. Nanoscale titanium dioxide is not currently approved as a food additive. Titanium dioxide content is less than or equal to 1% of the weight of the empty capsule. We use the titanium dioxide for one reason and that is because the raw materials we use can sometimes have varying shades of colour depending on harvesting, original moisture content etc. and it distresses individuals when the colour is different between batches, even if it does not change the nutritional content. We also regularly evaluate the state of the evidence for many ingredients and make changes or improvements accordingly. The IARC found that all the human studies analyzed do not suggest an association between occupational exposure to titanium dioxide as it occurred in recent decades in Western Europe and North America and risk for cancer. There was no evidence of an exposure–response relationship. In animal studies oral, subcutaneous and intraperitoneal administration did not produce a significant increase in the frequency of any type of tumor in mice or rats. Inhalation studies did show an increase in lung tumors in rats breathing fine titanium dioxide dust at a concentration of 250 mg/m3 for two years. That is equal to breathing in and average of 30 grams of the particulate over two years. “Cancer in Humans: There is inadequate evidence in humans for the carcinogenicity of titanium dioxide. Cancer in experimental animals: There is sufficient evidence in experimental animals for the carcinogenicity of titanium dioxide. Group 1: carcinogenic to humans (currently – 118 agents). There is enough evidence to conclude that it can cause cancer in humans. Group 2A: probably carcinogenic to humans (currently – 79 agents). There is strong evidence that it can cause cancer in humans, but at present it is not conclusive. Group 2B: possibly carcinogenic to humans (currently – 290 agents). There is some evidence that it can cause cancer in humans but at present it is far from conclusive. Group 3: not classifiable as to carcinogenicity in humans (currently – 501 agents). There is no evidence at present that it causes cancer in humans. Group 4: probably not carcinogenic to humans (currently – 1 agent). There is strong evidence that it does not cause cancer in humans. There are two items to point out. First, the conclusion that titanium dioxide is possibly carcinogenic to humans comes from experimental animals exposed to incredibly high doses of inhaled material. Ingestion, or eating, did not increase the frequency of any types of cancer. It is almost like saying that rats died when breathing in water therefore water is possibly harmful to humans. The statement may be accurate but it is very ambiguous. Second, the categories are all worded in such way that cancer is a certainty or a probability. This too is ambiguous. To be fair if humans breathed in the equivalent amount of titanium dust we would likely get lung tumors also. The human equivalent would be 2.1 kg or 4.6 pounds over two years. Therefore based on their own criteria titanium dioxide carries less cancer risk than red meat and far less risk than processed meats. Skocaj M, Filipic M, Petkovic J, Novak S. Titanium dioxide in our everyday life; is it safe? Radiol Oncol. 2011 Dec;45(4):227-47. Ophus EM, Rode L, Gylseth B, Nicholson DG, Saeed K. Analysis of titanium pigments in human lung tissue. Scand J Work Environ Health. 1979 Sep;5(3):290-6. Lindenschmidt RC, Driscoll KE, Perkins MA, Higgins JM, Maurer JK, Belfiore KA. The comparison of a fibrogenic and two nonfibrogenic dusts by bronchoalveolar lavage. Toxicol Appl Pharmacol. 1990 Feb;102(2):268-81. What is nickel and why is it used? National Academy of Sciences, Food and Nutrition Board, Institute of Medicine published the Dietary Reference Intakes which includes this excerpt on the mineral nickel. Additional research since the 2001 Institute of Medicine publication has shown several human enzymes function with or are activated by nickel. *Calmodulin is a calcium binding protein that mediates many crucial processes such as inflammation, metabolism, apoptosis, smooth muscle contraction, intracellular movement, short-term and long-term memory, and the immune response. Calmodulin is expressed in many cell types and can have different subcellular locations, including the cytoplasm, within organelles, or associated with the plasma or organelle membranes. Many of the proteins that Calmodulin binds are unable to bind calcium themselves, and use Calmodulin as a calcium sensor and signal transducer. Food and Nutrition Board, Institute of Medicine. Dietary Reference Intakes: Vitamin A, Vitamin K, Arsenic, Boron, Chromium, Copper, Iodine, Iron, Manganese, Molybdenum, Nickel, Silicon, Vanadium, and Zinc. National Academy Press, Washington, D.C., 2001. Packer, L. (editor) (2002). Superoxide Dismutase: 349 (Methods in Enzymology). Academic Press. ISBN 0-12-182252-4. Heinrich, Peter; Georg Löffler; Petro E. Petrides (2006). Biochemie und Pathobiochemie (Springer-Lehrbuch) (German Edition). Berlin: Springer. pp. 123. Barondeau, D.P. ; Kassmann C.J. ; Bruns C.K. ; Tainer J.A. ; Getzoff E.D. (2004). "Nickel superoxide dismutase structure and mechanism". Biochemistry 43 (25): 8038–8047. Liu L, Zhang J, Yuan J, Dang Y, Yang C, Chen X, Xu J, Yu L. Characterization of a human regulatory subunit of protein phosphatase 3 gene (PPP3RL) expressed specifically in testis. Mol Biol Rep. 2005 Mar;32(1):41-5. Rusnak F, Mertz P. Calcineurin: form and function. Physiol Rev. 2000 Oct;80(4):1483-521. Review. King MM, Huang CY. ; Activation of calcineurin by nickel ions. Biochem Biophys Res Commun. 1983 Aug 12;114(3):955-61. Raos N, Kasprzak KS. ; Allosteric binding of nickel(II) to calmodulin. Fundam Appl Toxicol. 1989 Nov;13(4):816-22. Mukai H, Ito A, Kishima K, Kuno T, Tanaka C.; Calmodulin antagonists differentiate between Ni(2+)- and Mn(2+)-stimulated phosphatase activity of calcineurin. J Biochem (Tokyo). 1991 Sep;110(3):402-6. Pallen CJ, Wang JH. ; Stoichiometry and dynamic interaction of metal ion activators with calcineurin phosphatase. J Biol Chem. 1986 Dec 5;261(34):16115-20. Matsui H, Pallen CJ, Adachi AM, Wang JH, Lam PH. ; Demonstration of different metal ion-induced calcineurin conformations using a monoclonal antibody. J Biol Chem. 1985 Apr 10;260(7):4174-9. Considerations. Clin Ter. 1991 Aug 15-31;138(3-4):159-65. Pallen CJ, Wang JH. ; Regulation of calcineurin by metal ions. Mechanism of activation by Ni2+ and an enhanced response to Ca2+/calmodulin. J Biol Chem. 1984 May 25;259(10):6134-41.